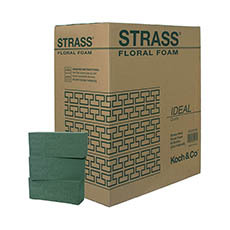 If you are looking for a high quality brand of floral foam bricks, look no further than Oasis® or Strass®. 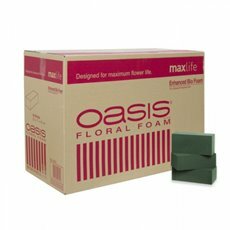 Our range of Oasis floral foam bricks come in a variety of shapes and colours. 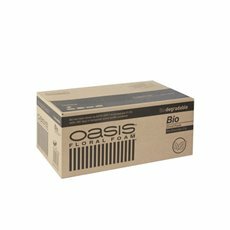 Our foam is also available in retail shrink wrapped packing as a single Oasis foam brick, or as cartons of Oasis 60 bricks. 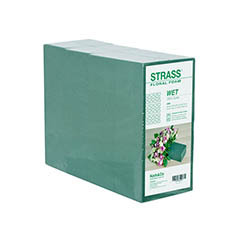 This water absorbing foam can be used as the base of floral arrangements to allow you to create stunning displays. It is the perfect foundation and will help to keep your flowers fresher for longer. 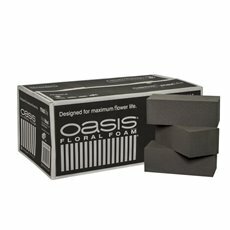 Oasis Foam is available in Oasis wet foam and Oasis dry foam. 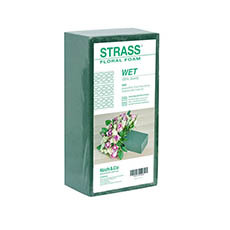 Our Wet Oasis® and Strass® Floral Foams have been designed with a firm structure, fast soaking ability and superior water absorption. Furthermore, the balanced PH levels guarantee the longevity of all your fresh flower arrangements. Our Dry foams are not too hard in structure yet do not crumble and give off minimum dust. 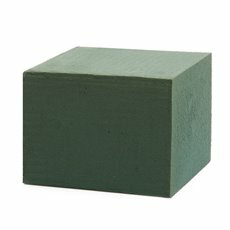 Oasis Foam Wet bricks with chicken wire are also available and offer a fast and easy way to create arrangements that need more support than usual. 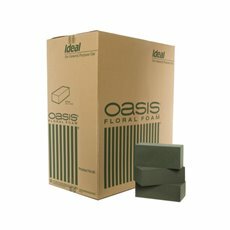 Jumbo Oasis Floral Designer blocks are large blocks of floral foam consisting of one piece of foam the equivalent size of 20 bricks. 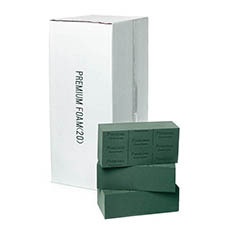 Floral foam is suitable for fresh flower arrangements, wedding flowers, funeral flowers and flowers for events. Koch & Co stock a wide range of supplies for professional florists including florist wire, flower preservatives, floristry books, hot glue guns and more. All our florist supplies are delivered Australia wide to major cities across the country.